The digital age has brought about a world-wide evolution of phototherapy and therapeutic photography. This book provides both a foundation in phototherapy and therapeutic photography and describes the most recent developments. Phototherapy and Therapeutic Photography in a Digital Age is divided into three sections: In the first, an introduction and overviews from different perspectives; in the second, approaches and contexts, including phototherapy, re-enactment phototherapy, community phototherapy, self-portraiture, family photography. This is followed by a conclusion looking at the future of phototherapy and therapeutic photography in terms of theory, practice and research. The book is for anyone interested in the therapeutic use of photographs. It will be of particular interest to psychological therapists and especially psychotherapists, counsellors, psychologists and art therapists, as well as photographers and others wishing to explore further the use of photographs therapeutically within their existing practices. Foreword. Kennedy, Prologue. Part I: Introduction: Theories And Approaches. 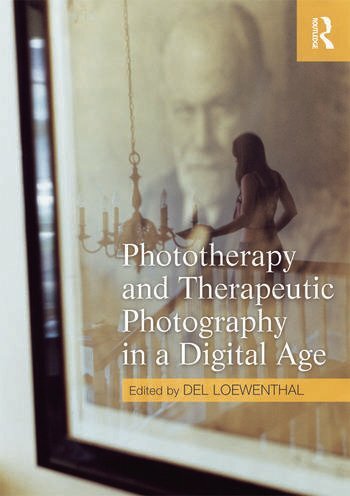 Loewenthal, Introducing Phototherapy and Therapeutic Photography in A Digital Age. Halkola, A Photograph As A Therapeutic Experience. Dennett, Jo Spence's Camera Therapy: Personal Therapeutic Photography as A Response To Adversity. Wheeler, Fotos, Fones & Fantasies. Simmons, A Creative Photographic Approach: Interpretation and Healing Through Creative Practice. Part II: The Use Of Photographs In Various Practices. Martin, Inhabiting the Image: Photography, Therapy And Re-Enactment Phototherapy. Loewenthal, ‘Talking Pictures’: The Therapeutic Use Of Photographs In Counselling And Psychotherapy. Nuñez, the Self-Portrait as Self-Therapy. Parrella, Loewenthal,Community Phototherapy. De Bernart, Photography and Family Therapy. Winckler, "The Time We Were Not Born" Experimental Archaeology: Working Within And Beyond The Photographic Archive With Photography Students. Kopytin, Phototherapy and Arts Therapy. Part III: Research and The Future. Karlsson, Phototherapy and Neuroscience: Marriage, Cohabitation or Divorce? Loewenthal, Research and the Future of Phototherapy and Therapeutic Photography. Anor, Hands Up: Surrender To Subjectivity. Del Loewenthal is Director of the Research Centre for Therapeutic Education, Department of Psychology, Roehampton University. He is also in private practice as a psychotherapist, photographer and counselling psychologist in Wimbledon and Brighton. He is founding editor of the European Journal of Psychotherapy and Counselling and former Chair of the United Kingdom Council for Psychotherapy Research Committee.